Can't lose those last ten pounds? It might be time to give up some of your go-to "diet" foods. Think soy, dairy, eggs, corn, peanuts and artificial sweeteners. According to nutritionist JJ Virgin, author of The Virgin Diet, foods you think are healthy could be sabotaging your weight-loss efforts. Can't lose those last ten pounds? It might be time to give up some of your go-to "diet" foods. Think soy, dairy, eggs, corn, peanuts and artificial sweeteners. According to nutritionist JJ Virgin, author of The Virgin Diet, foods you think are healthy could be sabotaging your weight-loss efforts. 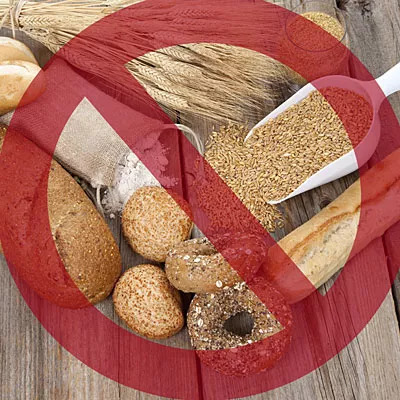 Virgin says that food intolerance is a hidden cause of weight gain and if you eliminate "diet" foods that may be causing intolerance, you can lose up to seven pounds in seven days. Food intolerance isn't the same as a food allergy, Virgin explains. "Food intolerance is a series of physiological responses that your body has to certain types of food," she says. "They can be immune mediated, including delayed food sensitivities, hormonal— including elevated insulin or cortisol response, or genetic —including lactose intolerance or celiac disease." How can food intolerance affect me and my diet? "Many of the foods you might consider 'healthy' could be triggering intolerances," Virgin explains. Examples include whole grain bread, Greek-style yogurt, egg-white omelets and soy milk. If your body doesn't tolerate any or all of these foods, "they can create cravings, inflammation and ultimately the inability to lose weight," she says. How do I find out if I have food intolerance(s)? According to Virgin, there's no need to call a doctor. "An integrative practitioner might do an IgG test, which lists the most common food sensitivities that are unique to you," she says, but that examination "misses genetic or hormonal intolerances." Instead, Virgin recommends "testing" your own body by pulling the hi-FI (food intolerant) foods out for three weeks and then challenging your body by adding them one by one to see how you feel. "Most people test negative for food allergies but find that they feel better when they pull out these foods," she says. When they're re-challenged into their bodies, people discover that one or more of these foods cause a variety of negative reactions, she adds. Furthermore, "Food allergies are acute and can trigger severe reactions. Intolerances are more chronic and sneak up on you. Many of the symptoms intolerances create can feel 'normal' so you're not always making the connection between the food you ate and symptoms it creates." "Food-intolerance symptoms include bloating, gas, indigestion, fatigue, mental fog, irritability, moodiness — and weight gain," she says. "If you're eating foods that your body can't tolerate, you're likely to gain weight, feel awful, and look older than you actually are." "The Virgin Diet" is your solution to food intolerance. How does it work? Cycle 1: Pull the seven highly reactive foods for 21 days. Cycle 2: Personalize the program by discovering which foods are hurting you and which are helping you on your long-term road to health and weight management. Do this by reintroducing one of the seven foods into your body each week for four weeks. Cycle 3: Maintain your new diet by learning strategies that will help you stay lean and healthy for life. So what are the seven foods to drop? "Dairy, eggs, soy, gluten, peanuts, corn, sugar and artificial sweeteners," Virgin says. Is "The Virgin Diet" for everyone? "Everyone will benefit from pulling these seven highly reactive foods for 21 days," Virgin claims. And for those who doubt or resist her diet plan, she says after trying it, they lose those last 10 pounds, look and feel better, have clearer skin, and "realize pulling these foods is one of the smartest things they've ever done." According to Registered Dietician Robin Barrie Kaiden, "there are many who may benefit" from the plan but says the diet is not for everyone. "Yes, these foods are common allergens, but everyone has different sensitivities," she says. "For example, some people are sensitive to certain fruits and vegetables and these are not on this list." Diana Le Dean, a wellness expert in weight loss, diet and nutrition, warns that detoxing from sugar "is not an easy task." And while she supports the elimination of these seven foods, she recommends making "these changes very slowly and with the help of a weight loss counselor."